A great place to start if you want to get to know us are the pages below. Meet the Doctors that work with us, meet our team, and take a look at the office. 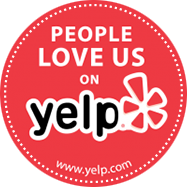 Also, check out our reviews....you'll be amazed at what people are saying about us! Dr. Brown & his team believe that it all starts with high quality. Everyone wants dental work that is going to last and give them years of service. We believe in continuing education so we can learn the best techniques and use the best materials. We don't cut corners and we don't do anything we wouldn't do on ourselves. As a practice, we are true believers that preventative care and education are the keys to optimal dental health. We strive to provide “dental health care” vs. “disease care”. That’s why we focus on thorough exams – checking the overall health of your teeth and gums, performing oral cancer exams, and taking x-rays when necessary. We also know that routine cleanings, flossing, and fluoride are all helpful in preventing dental disease. As your dental health professionals, we want you to be confident knowing that we are a team of highly trained and skilled clinicians. We are committed to continual education and learning. We attend dental lectures, meetings, and dental conventions to stay informed of new techniques, the latest products, and the newest equipment that a modern dental office can utilize to provide state-of-the-art dental care.